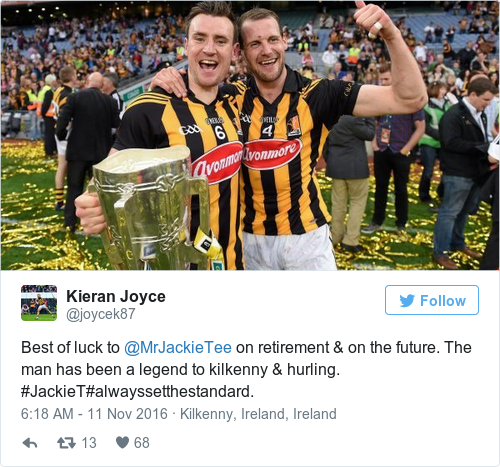 JACKIE TYRRELL BROUGHT the curtain down on a superb Kilkenny hurling career today when he revealed he was retiring. After helping Kilkenny to win 29 senior hurling titles and also winning four All-Star awards, there was plenty praise coming the way of the James Stephens man. Who do you think should be the Leinster footballer and hurler of the year? Email “True warrior, legend, savage competitor, benchmark - tributes paid to Kilkenny's Tyrrell”. 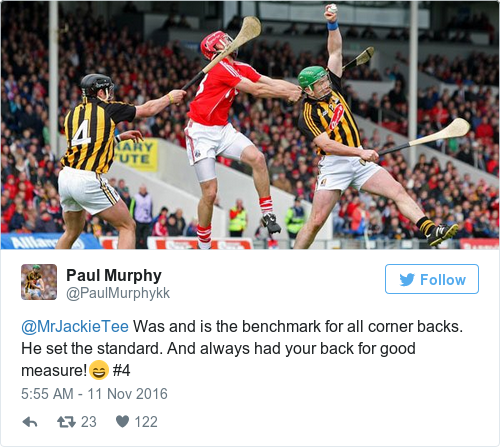 Feedback on “True warrior, legend, savage competitor, benchmark - tributes paid to Kilkenny's Tyrrell”.